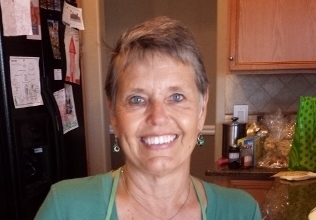 We will be leaving on Tuesday to go back to Arizona for about a week so that Bill can finish some dental work. This going back and forth is about to kill me. I want to be settled one place or the other for some time. Frankly, where I want to be settled is Denver, because as I look around at our house and our yard, there is a lot of work to be done. I was staying with Cole yesterday while his mommy volunteered at school. As we played outside, I found myself thinking, “I should come over here and pull some weeds for Court.” And then I stopped myself. What was I thinking? Before I volunteer to pull someone else’s weeds, I should pull my own. Kaiya and Mylee helped a bit on Sunday, but even Kaiya was overwhelmed at the number of weeds that needed our attention. They decided the playhouse was much more fun. And speaking of Cole, I spent much of the day with him yesterday. Seriously, is there anything cuter than a 2-year old? They are just learning to talk. They think Nanas are the BOMB. And they have developed a sense of humor. I laughed so hard at some of his antics. And he laughed just as hard at some of mine. He thinks I’m so funny, I should get a show in Cleveland. 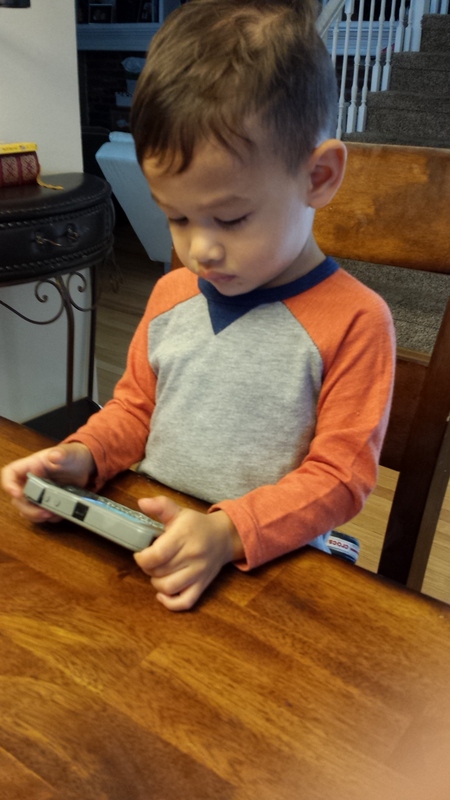 When I first got there, he was absorbed in what I guess is his very own phone – a hand-me-down following the purchase of one of his parent’s new phone. He, of course, knows how to maneuver his way through everything. It never fails to astound me….. In the course of moving from Denver to Phoenix for the winter, I was unable to watch the second half of How to Get Away With Murder. So the past couple of days I have been binging on HTGAWM, watching the final shows of this season almost nonstop. Wow. That’s all I’ll say. Wow. But while I’m on television, I want to put in a pitch for a really good program on Netflix called Grace and Frankie. It stars Jane Fonda and Lily Tomlin as two 70-something women whose husbands leave them for each other. If you are avoiding the program because you’re still mad at Jane Fonda, you need to let it go because you’re missing an exceptional show aimed at baby boomers. That doesn’t happen very often. Fonda is good – very good, in fact. But Tomlin is so funny that I seriously laugh hard enough to cry. Thus far, there are two seasons on Netflix. Tuesday night we watched the three youngest McLain kids perform at the Southmoor Elementary School band and choir concert. Alastair plays trombone (or at least tries to, as he had gotten his braces the day before). 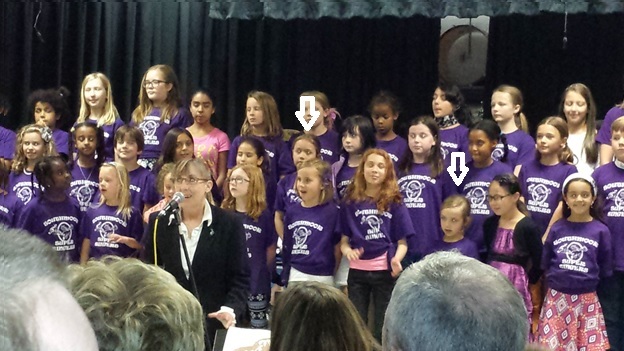 Dagny and Magnolia sing in the choir. And Dagny plays flute in the band. For the most part we enjoyed the concert, though there was one song that was so awful that people were visibly cringing. As for me, I very unprofessionally began to laugh so hard I had tears. Addie leaned over and asked me if I was laughing or crying. I told her both. Here is a photo of Dagny and Maggie singing. You can identify them from the arrows…. I should probably give Grace and Frankie a look. I don’t usually do television series – because they just keep calling to you again and again! Hard to resist a good one 🙂 But I see the advertisement for the show and I like both the actresses. Cute pic of Cole. I also like this age where they think grandma is the most fun person ever!